Nature Air used website usability testing and improved search engine optimization to reverse decreasing web sales. The global recession has taken a serious toll on the travel industry. 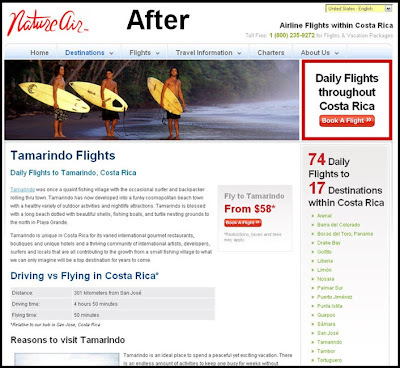 Costa Rica Airline, Nature Air, was feeling the harsh reality of the recession. However, their online revenues are now up over 20-30% over their record sales in 2008. One of the key tools used to help make this turnaround was Google Website Optimizer. Below is an example of a website optimizer test that helped increase the conversion rate of their 17 destination landing pages from 3% to 19%. Nature Air’s destination pages are key to the overall success of the website since they are among the top landing pages that people land on from search engines. These pages garner the best traffic from users who are in the later stages of the buying cycle and are ready to book a flight. Thus it is critical for these pages to effectively push people to the flight booking engine. The amazing thing is this website optimizer test illustrates that very simple changes can have a huge impact. In fact, a 591% conversion rate increase…wow! Below is a screenshot of the Google Website Optimizer report screen showing the dramatic results. Below is a screen capture that shows the ONE specific change that was made to this page that was responsible for the dramatic conversion rate improvement. The thinking behind this change was that by placing the call to action within the content area, with messaging specific to the location, and including the starting fare price, the call to action would become more relevant and people would connect with it and be persuaded to book a flight. What is better than increasing conversion 591%? Increasing the free search engine traffic to these 17 landing pages. 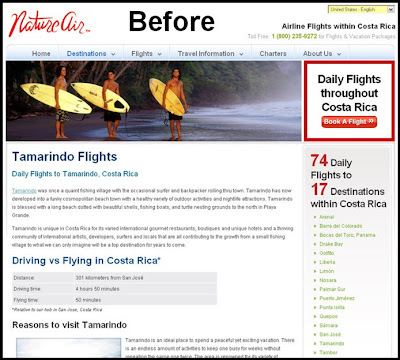 Check back for our follow-up blog post to this website optimizer case study to see how we got over 50 #1 rankings on Google and over 100 #2 & #3 rankings on Google for Nature Air which drove more people to these pages who were actively searching for location specific flights in Costa Rica. 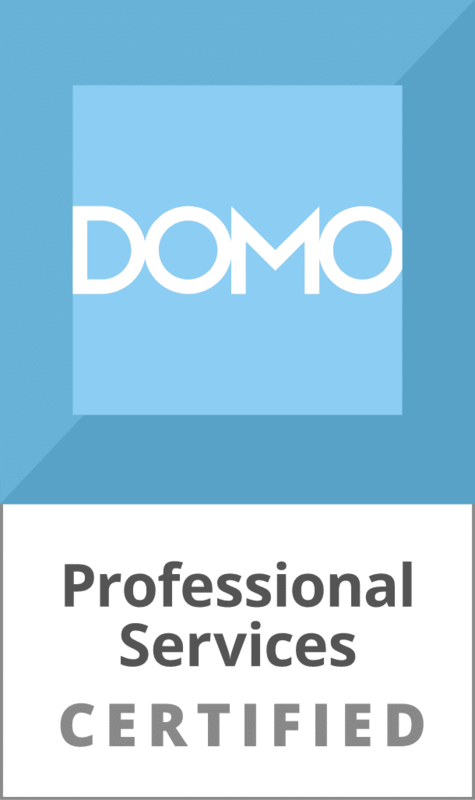 Learn more about our Google Website Optimizer Consulting Services. Well, this is a very nice case study, Kayden! The test is professionally conducted and nicely put together. Thanks a lot sharing! This is a nice post. I enjoyed the post. This post is useful for Google Website Optimizer to Increases Conversion Rate. I have used Googles Website Optimizer and it is quite a handy tool. I recommend it to all my clients. While this case here is not what I would call the “norm” by any means it does demonstrate what can be done with a bit of effort and the right tools. That´s a really nice case study, thanks to share this info! You know I was reading about someone else using the website optimizer tool. Personally I’ve never used it, but it seems people are having some success with it. I’ve just always been the type of person to manually adjust settings. 591% conversion is very good. Thanks for Sharing Kayden! I enjoyed your post. It demonstrates very strongly just how important each element on the page has on the site’s success. Of course, as you pointed out some elements are much more critical than others. Google web optimizer really does work. My campaigns saw a 80% increase. Highly recommended. Thanks for providing such use full information. This article contain a brief information about optimizing which is very helpful to me. Amazing how small tweeks can bring big results. The environment for this page is so relaxing, the designers mix perfectly the right colors. Such a nice article that is worth reading for. Thank you for taking the time and initiative to post this article. That’s really good to hear you. SEO is the best way to optimize any website for a business, it gives you trust and higher exposure which is why it is essential for all business. Released worth browsing. I recently found this well written and then quite simply clear. I have to for me personally many thanks for the time you devote to publish it all. Now i’m very pleased not to mention look ahead to a write-up. Very nice information . I am running blog and I will share this info there as it would be beneficial for my visitors..